QuickBooks GoPayment Reviews Recently Reviewed! Cons: As a service provider I don't like that I cannot set the tips where I would like them to be. They are preset and there's nothing I can do about it. Even clients have commented that I should change it but I can't. Pros: This allowed our technicians to receive payment in the field and integrated nicely with Quick Books. It worked wonderfully for the most part. Cons: the cost of the scanners was a little high due to them not lasting as long as we would have liked. Overall: we are still using this system and it's working great. We rarely have any problems and when we do they are solved quickly for us. Pros: What I like most about the Go Payment app is that in real-time it is easy to use. Comprehensive. It's great how it seamlessly integrates into QuickBooks online and then into our bank account. Cons: Least favorite thing about Go Payment is QuickBooks merchant services. If there is a bump in the process, funds are held in their payments/collections department without notification to the user. It is up to us to figure out something is off, and make the inquiries. While doing that, I have gotten varying resolution answers from various reps. Is confusing and time-consuming. Overall: Convenience, ease of use, fair pricing. Pros: I has many options for taking a credit card payment. Plug in chip reader, take a picture of the card or a Bluetooth card reader is available. I like that it's month to month and if I don't use it I don't have to pay anything. 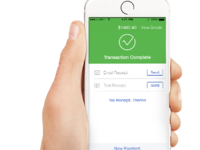 It's simple and easy to integrate into quickbooks. It has a good back end that you can access from a computer to manage your payments and who is taking those payments. Cons: The cost is cheaper if you pay monthly and high volume but more expensive for the smaller low volume months. When you get logged out it can be a slow process at times to get logged back in while a customer is waiting to give you their payment. Overall: I was using a set desktop solution before that had a long term commitment. This allowed us to take mobile payments anywhere we had a cell phone and get out of those long term contracts. Also it smoothly integrated into QuickBooks so it was a win-win for us. Pros: Go payment is easy and fast to use. If you have the app on your phone or tablet and out doing business, you can charge a customer right there and then on the spot. You are able to swipe the card with the card reader or key it in manually. Once you take payment you have the option to send a receipt of the sale and get a signature from the customer for extra security. The software is well design and works flawlessly. I have been using this for my business for a number of years. 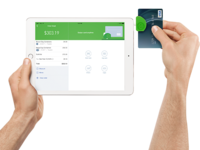 Pros: Easy and fast to use with QBO, integrates with my accounting and the card swipe and chip reader work easily. Can pull reports from the website and track monthly totals. Cons: Would like a chip reader that could be used on desktop, not just cell phone. Time it takes to post payments to my bank account. Overall: allows my clients to pay with all credit cards. Pros: I love that this software feels extremely professional when I'm asking for payment when I'm at someone's home. I don't have to enter in any information, I simply scan their debit or credit card and ask them to sign it. I also love that they have the option to receive a receipt right there. It's so nice to scan the card on my phone with the camera as opposed to carry around a clunky card reader. Cons: Every now and then it is unable to read a card and I have to enter it in manually, which is frustrating. I also wish it integrated more seamlessly with Quickbooks Invoicing. Obviously I also would like to see the fee for credit card processing lower, but it's not horrible. Overall: I'm a home inspector and I am able to take payments right at the home now. I use this on about 50% of my home inspections and my clients love it. Pros: Works well for credit card payments. It has some nice features like putting a hold on a card. Reasonable fees for processing. Cons: I wish the hold on the credit card could be for a longer duration. Sometimes it is a bit clunky to figure out how to release or apply a hold. Well hello again, Andrew. Once more, thanks so much for leaving your observations, and I'll gladly provide some more information about how holds work. While the amount of time an authorization stays on your customer's card is dependent upon their financial institution, most fall off on their own (typically within 7-10 business days). This means you'll need to reauthorize after seven days to ensure the money is still available in the customer's bank. After authorizing the funds in the Merchant Service Center, you can capture them. You can do this from Processing Tools > Capture Authorized Funds, and a capture is the point at which the funding process begins. While I have you here, I'll link you to this overview article on this topic: https://community.intuit.com/articles/1600562-process-and-capture-a-voice-authorization. I hope this helps! Cons: Sometimes I have found customer service hard to reach. A few people have mentioned that it can be hard to cancel your account if you change merchant accounts. Pros: I love that it makes the importing of data from GoPayment to Quickbooks online seamless. We have liked it and used it now for several years after we had used Square Payments for 3-4 years. Cons: Cost is fair, would like to pay less but we've typically used it now that the process is so seamless to import GoPayment data into Quickbooks online. Great company helping smaller companies grow..
Pros: It's super convenient this company charges low interest rates make smaller companies grow faster. I appreciate your customer service . Very polite people and always available to help me with anything I have concerns with. Hi Sally. I'm thrilled QuickBooks is streamlining the billing and statement process for Dr. Charles Ashley Mann & Associates. Should you ever have any questions about the payments feature, I invite you to explore the Community database at https://community.intuit.com/browse/quickbooks-online-payments. I want you to know that help is only ever a click away, and the Community is an excellent support space. I appreciate you taking the time to review, by the way! I used Gopayment for my retail business to track purchases and process card payments. Pros: I liked the the software is very user friendly and easy to manage inventory, and view transactions for order details. Cons: I dislike that customers can not be added to track their purchases. I dislike that reports can not be ran to track purchase totals over a period of time. I dislike that inventory is not tracked. 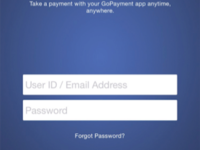 Gopayment mobile POS is great for accepting card payments. Comments: Despite Gopayment not being perfect its a great mobile companion for accepting card and other types of payments. I love it although some work needs to be done to make it worth being used for mass POS transactions. I love it so far. Pros: The fact that it is available on mobile phone makes it amazing, its easy to use, easily available, does not require any skills its just like you use the camera, its the best for small scale shop and store owners as it requires no space you just pocket it with the phone and produce it when needed. Cons: some bugs makes it boring, its charges amount is way much for such a simple software especially for common goods with fixed prices in small shops, poor customer support response team. 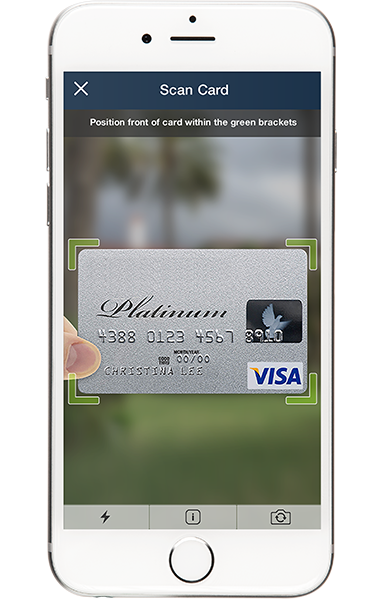 Overall: Less fees by swiping cards instead of keying them in. Comments: I used GoPayment for almost 4 years. It's simple to use, easy to manage. We used it in our offices and had a magnetic swipe card reader mounted to the PCs, but I know there's card reader for mobile devices, too. If you need to take payment (whether in the office or on the go) GoPayment can work for you. It's easy to add users as your business needs grow, too. It also some useful analytics. It possesses customizable features, to keep it simple for users and help you get the most from the software. Pros: Works well with all computers and mobile devices. Cons: If you really like or need analytics, you may find yourself wanting more than it can give. Recommendations to other buyers: Great payment processing tool for small to large business. GoPayment makes collecting payments quick and simple. Pros: The mobile application is very simple and straight-forward. We have had very few issues with the credit card readers and they load very quickly. It is very easy to setup products and services in the app and add them to a transaction. Cons: It is difficult to sync with your existing QBO products and services. Customer service doesn't seem to know their products well. It does not allow you to add a decimal number for a product quantity, so you can not sell products by weight. Convenient for someone that's always on the move rendering services. Pros: Very easy-to-use credit card payment app. I like that it syncs with with your existing QuickBooks account. Made journaling easier. Cons: The inability to deliver invoices in conjunction with the payment being made. Customer service wasn't too great. 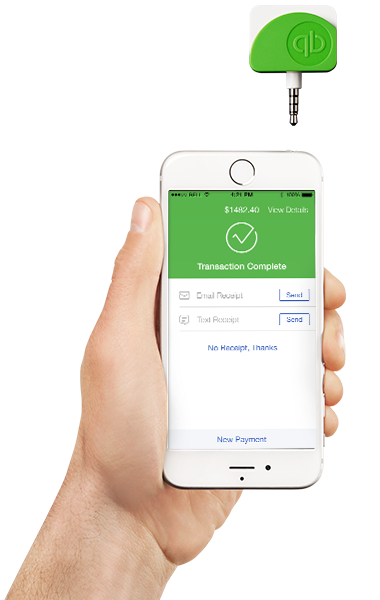 Pros: Gopayment is a great option for payments on the go. 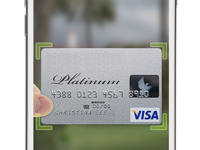 It conveniently fits into your cell phone or mobile tablet to accept payments anywhere. The application is easy to use and install. Cons: The integration with gopayment and your accounting software is vitally important for accurate record keeping. Unfortunately, GoPayment does not integrate with many software's. It does not integrate with QuickBooks online automatically, adding another step to your payment tracking. Pros: I love this software! It was extremely intuitive to set up and it makes accepting payment a breeze! Cons: I wish you could attach the payment to an invoice from the mobile app instead of going through the regular quickbooks. Pros: Simple to setup and process payments. The integration into QuickBooks is seamless. Cons: The processing cost is a little high but I think it's worth the convenience especially since I don't use it every day. Pros: Love the convenience of the gopayment square reader! We can take it on the go to any our events and fundraisers. The success rate for swipes is GREAT! Cons: The reporting and integration of the transactions is not as easy as one would assume. We were hoping for streamlined payments with the square. Comments: With so many options for mobile payment processing, businesses should choose the option that will provide the best functionality with the lowest rates. In this Intuit GoPayment review we have seen that it offers competitive rates and ease-of-use to provide a great option to businesses wishing to accept payments on the go. This is very easy to use and if you're already using QB it integrates flawlessly. Pros: This is very easy to use and if you're already using QB it integrates flawlessly. The setup process is very fast and you can start receving payments right away if it's a credit card based payment. Cons: The fees are a bit higher than what you can find in the market but perhaps this is the cost of convenience. There are other apps that can integrate and perform this service, perhaps for cheaper. Pros: This allowed us to easily and quickly start sending invoices and receive payment as a new start up business. I like how it is linked to our book keeping for easy tracking of income. Cons: We no longer use this option, as we were able to get a better interest rate elsewhere. I didn't like how long it took for the funds to post to our account. Pros: The ease of use, and ability to customize receipts for my small business sales at craft fairs. Cons: There was a bit of a wait for the credit card scanner but we just manually keyed the credits cards until we received it. So, it wasn't a big deal. 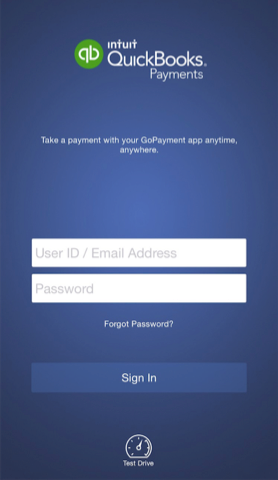 GoPayment is an easy-to-use Credit Card payment app that syncs with with your existing QB. Pros: This app is simple and straightforward to use. 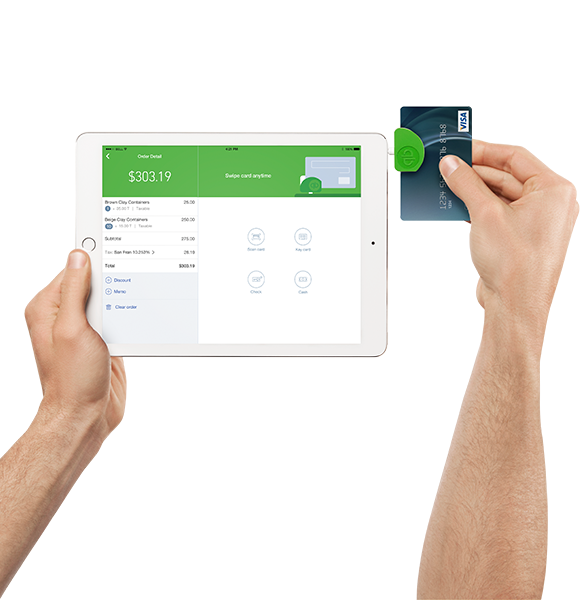 It syncs with your existing Quickbooks Payment. Mobile swipers are available. Cons: The credit card swipe rates are in the mid-price range. Customer Service is not always well educated on their product. Pros: It was easy to use. It would connect straight to my quickbooks account so I wouldn't have to enter a second time. Pros: Great software to use for managing your business on the go. Cons: Not a fully functional program to use if you need a complete accounting software.